Hobie Surf :: The 24th Annual Dale Velzy Surf Classic and Luau!! One of our favorite events of the year is almost here! I can’t think of a more well rounded, all inclusive celebration of surf in our area, than The Dale Velzy Surf Classic. All the details you need to know are below, don’t miss out!! The Doheny Longboard Surfing Association’s (DLSA) annual Dale Velzy Surf Classic and Luau date has been selected. The club selects event dates based on twenty plus years of predicting the optimum swell and tide opportunities. This year’s classic venue will be held on Saturday, September 21st, 2013 at the legendary Boneyard section of Doheny State Beach in Dana Point, California. 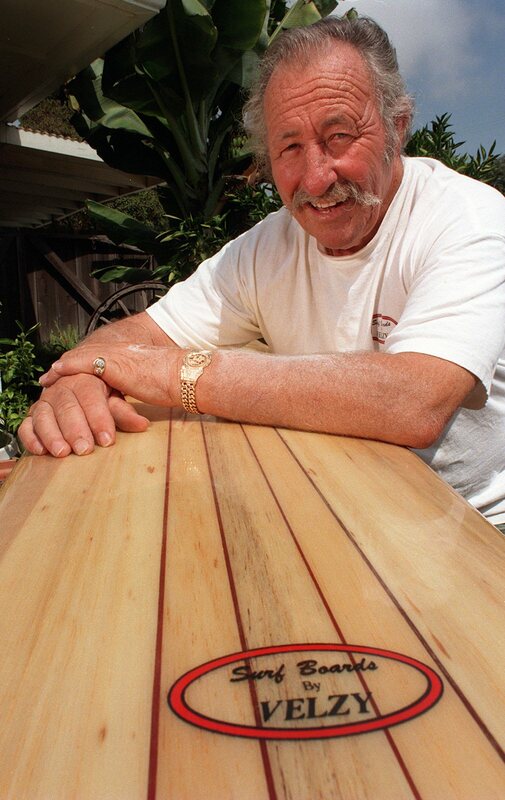 Open to everyone who loves waves and good times, the event honors one of surfing’s most famous surfboard shapers of all time, Dale Velzy, who passed away in 2005. This is a special program for DLSA as the club has been holding this classic event for over two decades. By design, the Velzy is for all who enjoy the same things that Dale enjoyed, mostly having fun with friends and family. It is in that spirit that DLSA holds this annual event so that everyone can enjoy everything from the surf contest, the luau, Polynesian review and dancing under the stars at Doheny with a live band. What could be better. Mickey Munoz will be there! “Dale Velzy was an important person to all of us in the club and this event is our yearly tribute to one of the true pioneers of the sport.” said Mark Gale, DLSA’s President. This year we’re pleased to welcome Bud Light as our Main Sponsor of the event, and our contributing sponsors: Velzy Surfboards, Hobie Surf Shops, Coral Reef Wetsuits, Danai HydroSports, R-World Surfboards, and Custom Surfboards by Dave. Entertainment will be over the top this year with the return of the Eliminators Surf Band, Polynesian Dancers, awesome Luau food cooked on premise all day (Tri-Tip, Chicken, Kaluau Pork, Brown rice with Spam, Mac Salad, & Oriental Salad) and the raffle will be one not to miss with wetsuits, artwork, a $500 Hobie Surf Shop gift card, and at least 4 surfboards from the sponsors listed above to raffle. Tandem…. my all time favorite to watch. Winners must be present at the Luau Sept 21st 2013. Doors open at 3:00 p.m. to site A&B within Doheny State Park. While supplies last, event shirts will be available, (Tees & Tank Tops) and Luau patrons will receive a commemorative Eco Tote Bag for future trips to the store or beach. It’s great fun for everyone and is sure to be an event you will not want to miss. 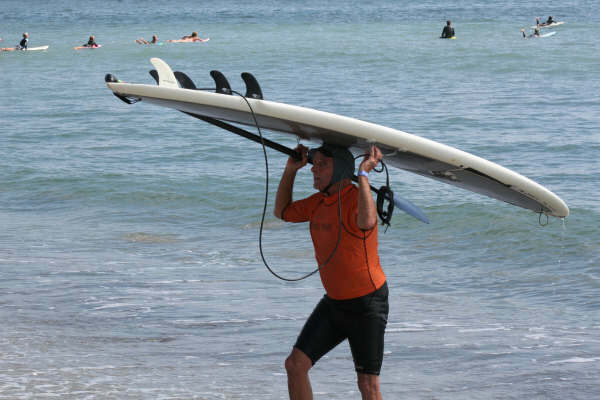 This entry was posted in Hobie Shop, Hobie Surf and tagged 24th Annual Dale Velzy Surf Classic and Luau, blog, california, corona del mar, dale velzy, Dana Point, doheny surf contest, hobie, Hobie Shop, Hobie surf, Hobie Surf Shop, Hobie Surfboards, Laguna Beach, longboard, San Clemente, shortboard, style, surf, surfboards by velzy, Surfing, surfshops, velzy, waves. Bookmark the permalink. p.s. Please copy and paste and spread the word. I’m sorry things worked out this way, but it is tough work to be a pro these days.. Thank you for understanding..